I am working on a Twitter dashboard on Tableau. Regarding the follower tracker, I want to make something like the one shown above, where it has the number of followers and the increasing number within a period. It looks like nothing I made before. Anyone can share an example how to do it? Thanks a lot! 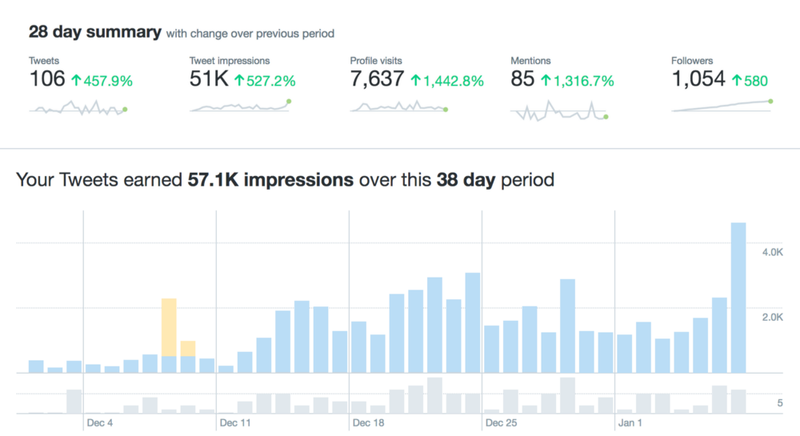 Have you seen this example - Analyze Twitter data to maximize your reach | Tableau Software and does it provide the example to get you going?